Precut, Archival 100% Cotton mats and Archival Alpha Cellulose mats in white and black core. These are the finest quality mats. Manufactured to the highest archival standards when simply "Acid Free" will not do. What makes them Archival? They are Acid -Free, they are Lignin-Free (the property in mats that creates the acid), they are made of 100% virgin pulp (no recycled material), they use only Pigmented Dyes (Pigmented dyes resist both bleeding and fading) and they do not use optical brighteners(chemicals used in some standard mats to produce brighter colors but are not allowed in archival mats because they fade over time, causing yellowing of the material). Click on image to select mat sizes and colors. Exclusively available through MATcutter.com. The largest bevel mat we have ever found on the internet. It is available in stock sizes as well as custom. No where else will you find 100% cotton 12 ply board as well as 1, 2 and 4 ply backs and 4, 8 and 12 ply mats and mat blanks in both Standard (Buffered) and Photo Rag (Unbuffered) versions.. The 12 ply mats with an unbelievably deep bevel are the star of the show, providing an environment that shouts out quality, prestige and beauty. An incredible 8-ply 100% Archival Cotton Rag Mat. A huge step up from standarsd 4 ply mats. The impact on the bevel is even greater than the 100% increase in mat board thickness. Available in a precut, ready to ship, mat. Buffered with Calcium Carbonate, Standard Cotton Rag, or Unbuffered, Photo Rag.. Click on image to select mat sizes and colors. The best of the best! 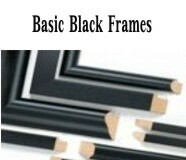 Cotton is the standard in archival framing, museum framing, preservation framing; it is the best of the best. Cotton is the only truely "acid-free" mat board. The cotton plant does not have the natural acidity of trees. And, since it is grown as a crop, it is a renewable resource as well. These mats come buffered and unbuffered with calcium carbonate which helps resist acidification from the environment. Click on image to select mat sizes and colors. GET BLACK MAT WITH WHITE CORE! Alpha Cellulose mats are paper mats that are cleaned and treated to emulate cotton rag standards. Why use Alpha Cellulose? Because they have textures you cannot get through rag and you can have mats that have a black top color and a white core or a white top color with a black core. Because of the way they are made, cotton rag mats are the same color on the top, middle and bottom. Conservation mats have been treated to remove the acid and acid producing properties. They are buffered to help resist reacidification. Like all archival quality mats, they use pigmented inks that have a much longer life than water based dyes used in Standard mats. They are made with 100% virgin Alpha Cellulose...they do not use recycled material. Click on image to select mat sizes and colors. Get a white mat with a black core that surrounds and highlights your image! Great for black and white images or any image that benefits from a defined edge. Available in both standard designs and gallery designs. You get quality, longevity and style in one matboard product. Click on image to select mat sizes and colors. Very thick, precut mats, 6-ply, Conservation mats produce the drama of our cotton mono-color 8 ply mats in a paper based mat that can have a black mat with a white core, the color of the center of the mat that appears in the 45 degree bevel surrounding the image. The reverse, is also availablee in our Conservation 6 ply black core mats. 6 ply mats convey a feeling of prestige, impact and luxury. Click on image to select mat sizes and colors. Very thick mat board for the finest picture images. Fine artwork is all about communicating to the viewer. But, first you have to get their attention. Our "Very Thick" mats provide that unique, out or the ordinary, first impression. The ability to have a white mat with a black core or monochromatic black mat with black core "seals the deal"! Click on image to select mat sizes and colors. Part of our value collection, these archival mats are not made like conventional paper mats with a center core with paper added to the top and bottom. Instead they are made as a 4 ply "board" just like archival cotton mats. The material on the top, the bottom and the center are all the same material. You get the luxiurious look of cotton mats at a conservation paper mat price. Click on image to select mat sizes and colors. At one time, mats were all 4 ply. Now you can experience the impact and "style" of 8 ply mats. These mats are double the thickness of our standard value line "solids" line. This translates into a super sized 45 degree bevel around the mat window. In any art show or gallery, it is impossible to walk by and not notice the difference. Matboard is 100% museum, grade cotton, approximately .120 of an inch thick. The mats are buffered with calcium carbonate to resist reacidification. Mat windows (unless specifically noted) are centered and can be used horizontally or vertically (Landscape or Portrait). Try this beautiful mat on your next feature piece and see the reaction. Click on image to select mat sizes and colors. Basic Elements are 100% virgin alpha cellulose, paper, mats that are rated as archival mats, They have been cleaned of acid producing properties and buffered with calcium carbonate. They are less expensive than other archival mats because they are just slightly thinner, approximately .055 of an inch versus .060. They also do not include the added Nielsen Bainbridge Artcare® protection of our other archival paper mats. They are, however, buffered with calcium carbonate that resists reacidification. They get down to "basic" archival protection that will protect your images for many years. Click on image to select mat sizes and colors. Adding items to your cart does not obligate you to place an order. You are not charged anything until you have completed the entire Checkout process. Please call 1-706-686-3571 or email info@matcutter.com if you have any questions or experience any difficulties. Due to color variations of different monitors, colors shown are approximate only. Do your mats have BEVELED WINDOWS? The center of the mat board. It is the portion of the mat you see in the bevled edge of the mat window. Other than Cotton Rag mats, mat board is made up of a "core" with a paper cover on the front (the "color" you see on the top of the mat) and a paper cover on the back of the mat board. Cotton Rag mats are one piece. The top, bottom and center are one piece of cotton. No paper cover has been applied to them. What does ACID FREE mean? Unfortunately ACID FREE has become a somewhat misunderstood term and, actually, is misleading. The proper term is "Acid Neutral". An ingredient called calcium carbonate (the main ingredient in Maalox) is added to the mat materials. This is a good thing and makes better mats just like Maalox makes my stomach better. It neutralizes the natural acidity in standard core mats. When measured with a PH meter, these mats measure "Acid neutral". A good thing. Some big bad marketing genius decided that "Acid Free" sounded better than "acid neutral". But, this is where the misleading part comes, it is not permanent. It helps to retard the return of acidity it does not cure it. So, a good thing (better mats) got turned into a misleading thing (They are cured!, They are cured! And it's free!). What are ALPHA CELLULOSE mats? Alpha Cellulose mats are mats made of paper like Standard Core mats. However, the materials go through additional cleaning and purifying so they approach the archival standards of Cotton Rag, the standard in archival mats. In addition, the quality of the ingredients are increased. For example, pigmented inks are used in the top paper cover, the one that provides the overall color of the mat. Pigmented inks resist fading more than other inks. This increases the general longevity of the mat. Our "Photo Rag Mats" are archival cotton rag mats that do not have calcium carbonate added to them. Some conservators believe that too much "alkalinity" (basically the absence of acidity) can harm certain kinds of photographs. These photographs are albumen, chromogenic, dye transfer and cyanotypes. Basically, our Photo Rag Mats are great mats without any buffering. How are COTTON MATS different than ALPHA CELLULOSE Mats? Cotton Rag mats are made from 100% Cotton (not rags, it is a traditional industry term). 100% Cotton mats are historically used by museums and galleries because cotton is naturally free of acid. They are a solid sheet or board of cotton rather than a core with a top paper cover and a bottom paper cover. Alpha Cellulose mats are made of paper. They were created primarily to allow greater color flexibility. Since they have a paper cover, they come in many more colors than cotton rag. Alpha Cellulose mats are cleaned and purified more rigorously than standard core mats so they approach Cotton's natural archival properties. Mats don't have to have a window that is proportional to the mat and centered. In other words, an 11 x 14 mat with an 8x10 window centered in the mat. Sometimes it is more dramatic or interesting to do a 16 x 20 mat with an 8 x 10 window centered or even raise the window farther from the bottom to make a "portrait" orientation. A good selling mat is an 11x14 mat with a 5 x 7 window. The extra space provided for the mat actually makes the small 5 x 7 stand out more than if it was in a standard 8 x 10 mat. It is more "dramatic". What is the window ORIENTATION? Orientation comes in 3 flavors. Centered (the window is placed in the center of the mat) Portrait (the window is taller than it is wide). Landscape (the window is wider than it is tall). Centered windows allow you to turn the mat in any direction and the window will be just fine. So it can be used for both vertical and horizontal pictures. Portrait mats have a vertical image. Because the mat has a larger Bottom Margin than the Top Margin, the mat can only be used with a vertical image. Landscape orientation has a horizontal window. It can only be used with a horizontal image because the Bottom Margin (the distance from the bottom of the mat to the window) is larger than the Top Margin (the distance from the top of the mat down to the window). For those of you who want a PHD is this subject you can consider that a mat could be a portrait mat with a landscape window, a portrait mat with a portrait window, or a landscape mat with a portrait window, a landscape mat with a landscape window or you could simply purchase a centered mat and go out and buy a frame that can hang either way! Riddle: What is a mat that doesn't have a window? A Back! Almost all mats and backs have been buffered--calcium carbonate (the main ingredient in many antacids for your stomach) has been added to the board. This ingredient retards the accumulation of acid. Paper based mat boards have calcium carbonate added in order to retard the natural acidity of paper. Most cotton rag mat boards also have calcium carbonate added even though they are naturally "acid free". The calcium carbonate combats environmental pollutants that can increase acidity. What is the BEVELED WINDOW? Traditionally, fine mats have been cut with a knife. The window(the part of the mat cut out so you can see the art) has a 45 degree beveled edge that slopes from the top of the mat down to the art. This bevel cut exposes the core of the mat and is more elegant than typical cheap mats that were stamped out with a die. The bevel can be used to accentuate the art. For example, a black core in a white mat produces a black accent around the art. Are the OUTSIDE EDGES of your mats straight cut? Yes. Why is this an issue? Some less expensive mat cutting machines only cut with one knife. Therefore, you get a beveled edge on the mat window AND on the outside edge of the mat. This bevel cut is sharp. Our machines cut with two knives. A 45 degree bevel for the window and a straight cut blade for the outside of the mat. Why would I want different CORE COLORS? Core color is a great design tool. A white core and, hence, a white window bevel color has one effect in a white color mat versus a black mat with the same bright white core. It can be used to outline the image or blend with it. Our black core mats provide the opposite color combination. Does it make a difference if I order WHITE OR BLACK CORE? Primarily, it dictates the color of the window bevel. It can either contrast with your image or blend with it. A white mat with white core will have a white beveled window. A black mat with a black core will be solid black in appearance. A white mat with a black core will have an black accent around the image. What is a DOUBLE MAT? Two mats stacked on top of each other. Normally the window for the "top" mat is larger than the window in the bottom mat so you see the color of the bottom mat next to the image and the overall color of the top mat. No, because there are so many different kinds of backs and different preferences; the mats and backs are sold separately. Artists just don't seem to fit into a "cookie cutter" format. One exception is our ONE STEP program. There, you can purchase a mat ALREADY ATTACHED to the back and get the resealable Plastic Presentatin Bag as well. See ONE STEP in the main MAT menu.